AI As Songwriter: No Carole King #MusicMonday « Adafruit Industries – Makers, hackers, artists, designers and engineers! 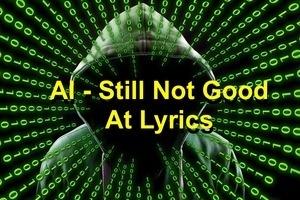 Artificial Intelligence, or AI, is being used everyday for a wide variety of uses online, so it’s no surprise that music is being generated using it. While it might not win any awards, in most cases it’s at least passable. But music is mathematical by nature, which makes it a good candidate for AI creation. Lyrics, on the other hand, are a different kettle of fish that AI still can’t get its arms around.